We can provide courtesy casting rods with reels and line, upon guest’s previous request (30 days), to use at camp. Every season the stock is renewed and brands and models may change. (Note: lurese are not provided at camp). Guests usually bring along their favorite tackle. We highly recommend bringing three -or four- piece spin, casting, and fly rods that you can carry on the plane. The cumbersome one-piece models often get lost or broken in transport no matter how well they are packed. Baitcasting and spinning rods should be LONG-HANDLED/medium-heavy action models designed with plenty of backbone for hook setting/pressuring big fish (recommended for 1-3 ounce lures). Baitcasting reels should have a high-speed retrieve ratio, as lures are normally worked at an extremely fast rate. Bring at least two rod and reels, because you might break a rod or strip the gears in one of your reels. Most anglers prefer to use casting rods instead of spinning models. The precise, direct presentation of the level-wind casting reel is generally much more accurate than the high-arching lob of a spinning reel. Take medium to medium-heavy to heavy largemouth bass tackle with long-handled 6 to 7-foot rods and good-quality reels of at least 100 yards capacity with high-speed retrieve ratios. Use rods with a firm-action tip to allow for accurate casting of heavy lures. Bring at least two rods and two reels in case of breakage. For lines, we suggest “T &C Tufline” or “Power Pro” in 65 to 80 pound or other brands of similar braided line. Steel leaders are not required while fishing for peacocks. Backup tackle is available at no cost to anglers, except in the case that you break the rod -then you will be charged $100 for a replacement -that fee is paid directly to the camp host. This proven Shimano Hirame Minnow is designed to rise on the pause. 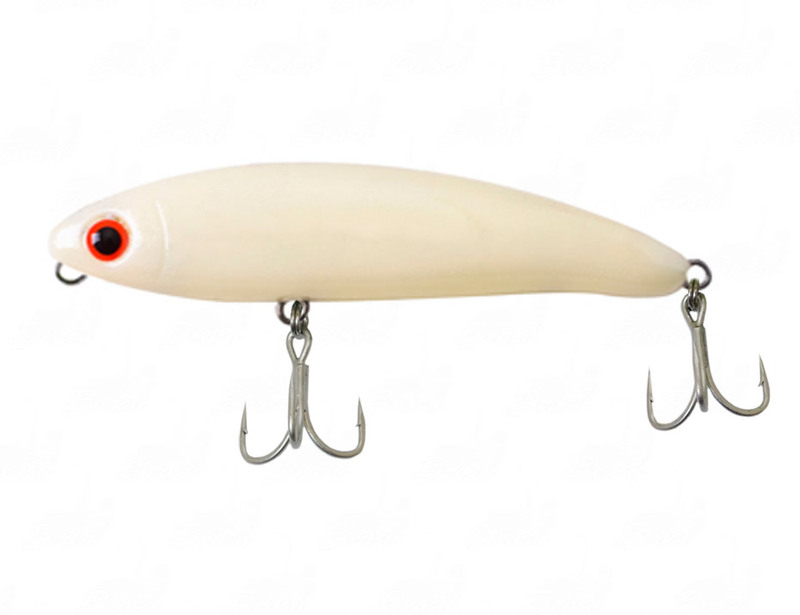 Produces a nice wide wobble, excellent for steady retrieves, stop-and-go or use as a subsurface jerkbait. Bait consecrated for its efficiency to the Amazonian Giant Peacock Bass. With its unique design, its sliding characteristics and fast swimming, imitates a fish fleeing or hunting on the surface. 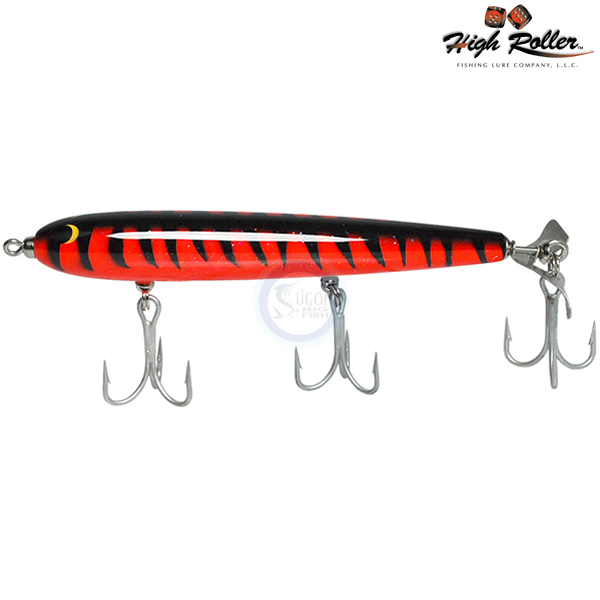 Baits are surface type propellers, different from all similar existing today in the market with different designs. Extremely balanced, grants the sport fisherman many options and emotions in capturing these explosives predators. Swimming just below the surface (0-4′), Walk-The-Dog anglers can use this incredibly effective technique anytime, anywhere. Chop, wind, even rough water can’t stop the SubWalk. Unique lateral tail fin adds extra glide and stability to action. Slow-sinking on the pause triggers reaction bite. X-Rap finish; internal holographic foil, internal rattle system and 3D holographic eyes. VMC flash feather tail hook and black nickel belly hook. 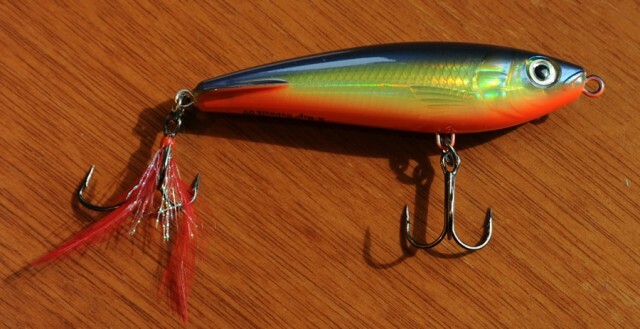 It’s hard to think how much fish have been caught by a Jumpin’ Minnow, or how many baits were inspired in this model. 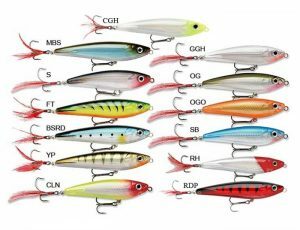 Jumpin’ Minnow is the most classic jumping bait the world! Its movement is just amazing and can be worked in various ways. As a stick (simulating a wounded fish), as a zara (swimming in zig-zag) and as its name implies, jumping (simulating a fish on the run). The attack will be unforgettable! Recommended for capturing the Great Peacock Bass. Bait for fishing on the surface, with work on “Z” with one of the most powerful rattlings attracting the attention of large Amazonian Peacock Bass. The Peacock Bass attack on this bait is chilling. Tunao is perfect for long shots. Its hydrodynamic shape allows a perfect swimming, simulating the prey of large predators like Amazon Peacock Bass. A very good option when the Peacock Bass are unwilling to take surface lures. Mid-water bait to fish for large peacock bass in the Amazon. Exceptional rattling with the power to draw up even fish that are away from the cast of the site. Subsurface bait very efficient for medium and large fish. His erratic swimming, imitating a fish struggling to swim, attracts more distant predators. Luhr Jensen Peacock Bass prop lures 4 1/2 – 6 1/2”. All colors. 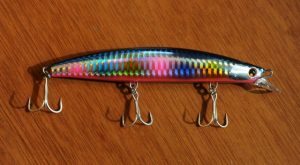 Luhr Jensen Peacock Bass Special 4 1/2”. All available colors are good. 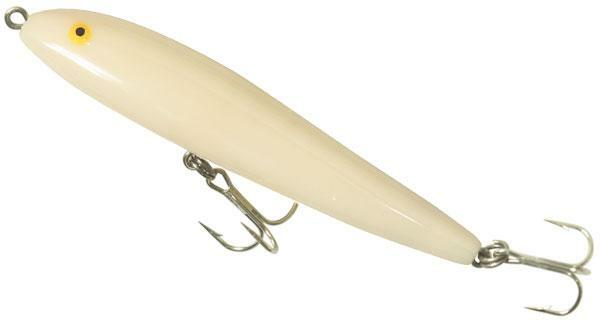 Luhr Jensen Amazon Ripper 5 1/2”. All available colors are good. 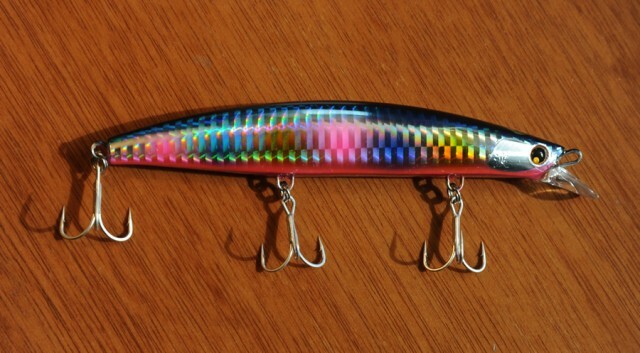 Heddon Super Spook 5”. All available colors are good. Heddon Wounded Spook 4 1/2”. All available colors are good. Poe’s Timber Turbine 5 1/2” – 6 1/2”. All available colors are good. Offshore Angler Lazer Eye ™. Saltwater Shallow or Jointed Runner 6” Pinfish, Goggle-eye, Mullet. 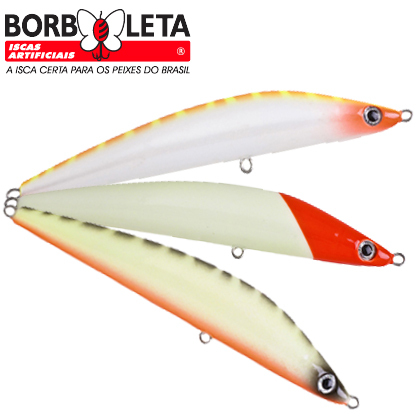 Yo -Zuri ™ Crystal Minnow Sinking 5 -1/4” Red/White,Blue Tiger,Blue/Pink. Rapala ™ Saltwater X -Rap 5 -1/2” Silver,Glass Ghost,Bunker. Bomber Long A 4 1/4—6 1/4” Gold,Silver. Johnson Silver Minnow 3/4 —1 1/8 oz. Gold,Silver. Rapala X Rap Sub Walker 3 1/2” – 5/8 oz. Gold, Clown. Rebel Jumpin Minnow 4 1/2” – 1/2 oz. Bone, Bone Chartreuse, Copper, Black & Orange. Perversa 4” – 3/4 oz. All colors. Safada 5” – 1/3 oz. All colors. Slevad brand or similar jigs in 1/2 oz. to 5/8 oz. 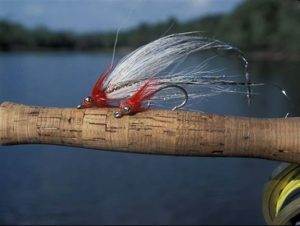 -bucktail or feathered, all colors, with white or yellow underbelly. Flies with 1/2 oz. worm weights also work well as jigs. Streamers fished on sinking lines seem to be most productive for catching larger-sized fish including peacock bass. Popular streamers include 6-inch (5/0) bi-colored, heavily-dressed bucktails in red/yellow, olive/white, black/white, and orange/black. 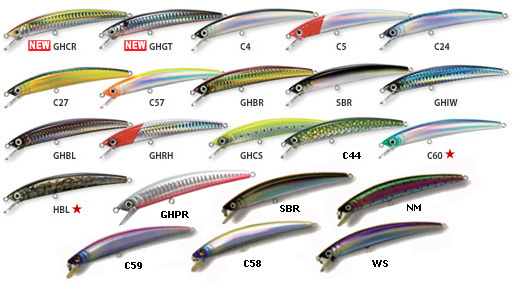 Big Deceivers, Bunnies, Saltwater Zonkers, Clousers Minnows, and other flashy baitfish imitations all take fish. All patterns should have generous amounts of matching Flashabou or Crystal Flash. Big saltwater poppers are exciting to fish, but can be extremely exhausting to cast and retrieve for prolonged periods. 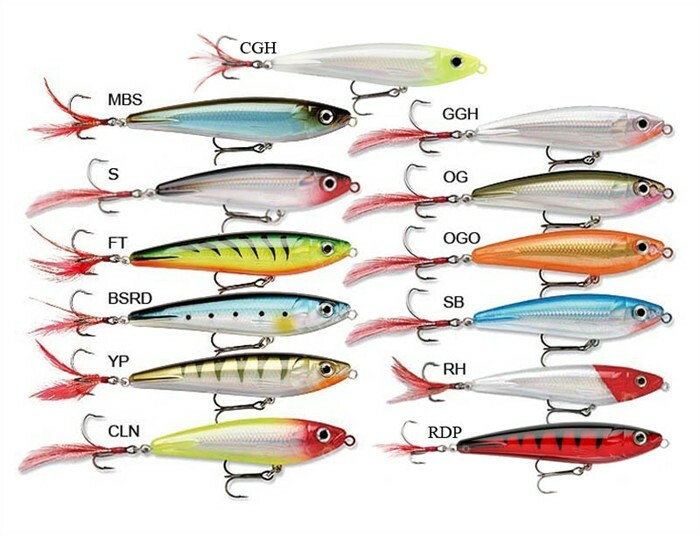 Gaines saltwater popper in red/yellow and pearl/olive hold up well and are hard to beat in terms of their ‘action’ in water. ‘Sliders’ are productive in clear-water situations. Popovic’s ‘Silicone Mullet’ in olive and white is hard to beat. They should be fast action models, because they load sinking lines more efficiently, and they generally have more ‘backbone’ than softer models. Bring at least two fly rods, because they often break under the ‘jungle stress’. Reels don’t need to hold a lot of backing because peacocks don’t make long runs, but a smooth strong drag is still essential. It is recommended that you have a ‘heavy’ fly rod & reel combination: A stiff/fast-action, 9-foot, nine or ten-weight rod (Sage 990-3RPLX) + Scientific Anglers ‘System 2- 89’ reel. 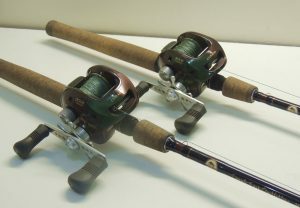 And recommended ‘med-heavy’ fly rod & reel combination (for smaller fish): A stiff/fast-action, 9-foot, seven-weight rod (Sage 790 – 3RPLX) + Sicentific Anglers ‘System 2-78’ reel. They are undoubtedly much more effective than floating lines. A Teeny ‘300 T-Series/Sink Tip’ (this line can be fished on anything from a seven to ten weight rod) is our number one choice, followed by a Scientific ‘Uniform Sink V’ full sinker. Also bring a floating line for poppers and sliders. A line with drastic weight-forward taper (like Scientific Anglers ‘Mastery Saltwater Tarpon’) matched to your rod weight will handle the wind-resistant poppers most effectively. A Small Cotton Minnow Seine is a must in order to keep your fly line from tangling in the boat’s seats, floorboards, rods etc. Peacocks are not the least bit leader shy. Most fly anglers use a straight shot (approximately six feet) of 40-50 pound monofilament leader material. Anything lighter will be snapped off like sewing thread when that fifteen pounder runs you into a tree or rock pile. You will go through a lot of leader material, because of the peacock’s extremely abrasive teeth. We recommend buying a 1/2-pound spool of Ande ‘Tournament’ monofilament. If you’re trying for a IGFA record, you’ll have to follow their leader specifications.